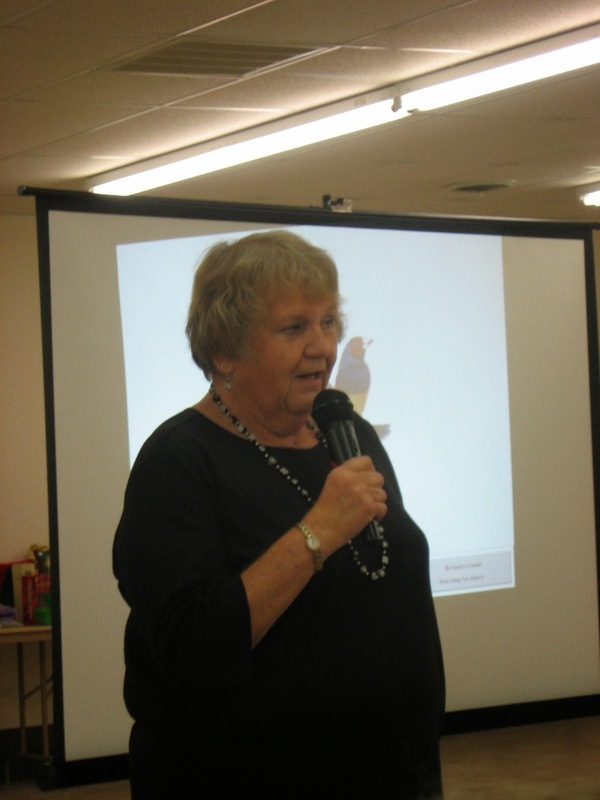 Ida Marie Snorteland and five friends presented the history of the Home Extension Club to over 85 people in the Spearfish Area Historical Society on Oct 7, 2014 at the Spearfish Senior Citizens Center. 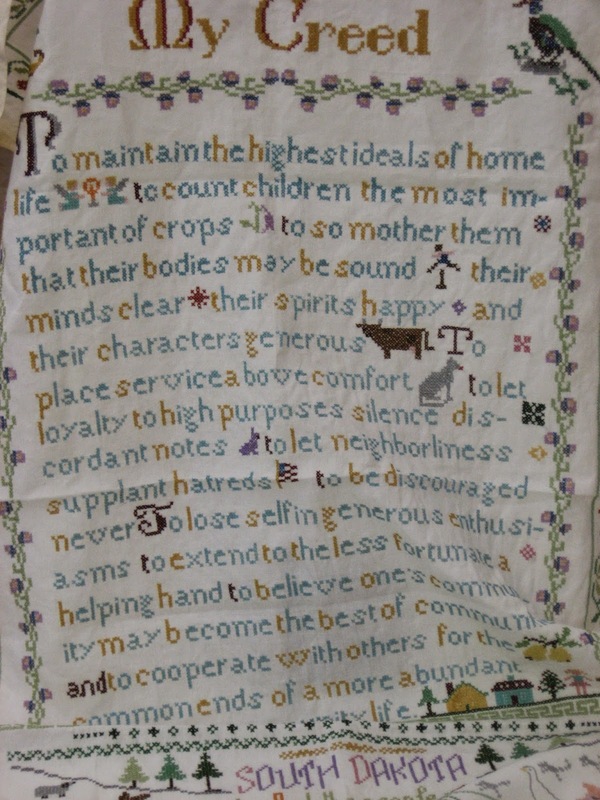 The Home Extension Clubs were a large part of women's lives in Lawrence County beginning in 1914 when the US Government passed the Smith-Lever Act connected through the land grant universities to give each state $10,000 to start up Home Extension Clubs. Back in the day, women would come by foot, wagon or horseback to join the clubs. They always wore hats. The clubs were instructional and social. The instructional part was done by train-the-trainer methods (before that term was used). Workshops included such things as making hats, using spices, Chinese cooking, and deboning a turkey. Events included a wide variety; some examples were one act play contests, fundraising at $2 a plate for the Children's Hospital in Hot Springs, and readings. The social part extended to families as annual family picnics and holiday programs were highly attended. Many Home Extension Clubs were formed in Lawrence County in it peak years in the 30's and 40's. Over the years, the Lawrence County Extension Clubs sponsored the sound system in the Pavilion, the Entrance to Spearfish Park and one of the picnic shelters in the park. To place service above comfort; to let loyalty to high purpose silence discordant notes; to let neighborliness supplant hatreds; to be discouraged never: To lose self in generous enthusiasms; to extend to the less fortunate a helping hand; to believe one's community may become the best of communities; and to cooperate with others for the common ends of a more abundant home and community life.